I do enjoy good pickled red onions. We’ve all had them on sandwiches, hamburgers, in various salads or as a garnish. 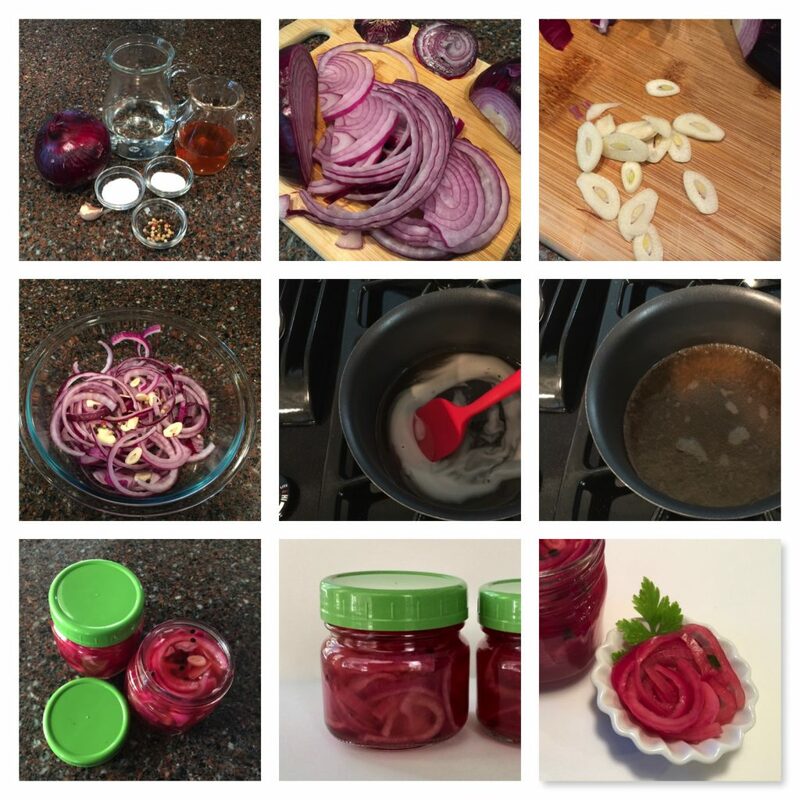 Have you ever thought of making your own pickled red onions? 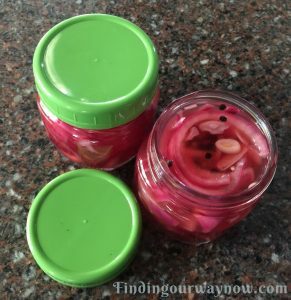 If you haven’t you’re in for a treat; pickled red onions are easy to make and can take just a few minutes. Place the sliced onions and garlic in a small bowl, sprinkle the peppercorns over the top and set aside. In a small saucepan, whisk the water, vinegar, salt, and sugar until dissolved and then bring it to a boil. Pour the hot vinegar mixture over the bowl of onions, peppercorns, and garlic. Make sure the onions are covered with the vinegar mixture. Let the onion mixture stand at room temperature for an hour. Spoon in an equal amount of the onions into 2 8oz. jars. Pour an equal amount of the remaining liquid over the onions. Screw the lids on the jars, tighten and chill. Once chilled, they’re ready to use. Drain the onions prior serving. 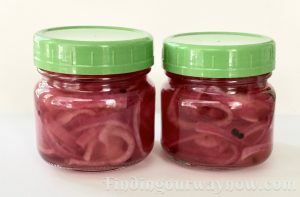 Refrigerated, these pickled red onions will keep up to 4 weeks. Notes: If you prefer your pickled red onions a bit softer, add the onion and garlic slices to the saucepan. Allow them to boil in the vinegar mixture for no more than 2 minutes then transfer the onions to the jars to cool for an hour and then refrigerate. Always use fresh firm onions and garlic; it will make all the difference in the overall result. 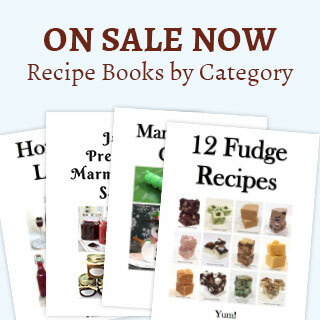 If desired, this recipe can be doubled or tripled depending on the quantity you need. 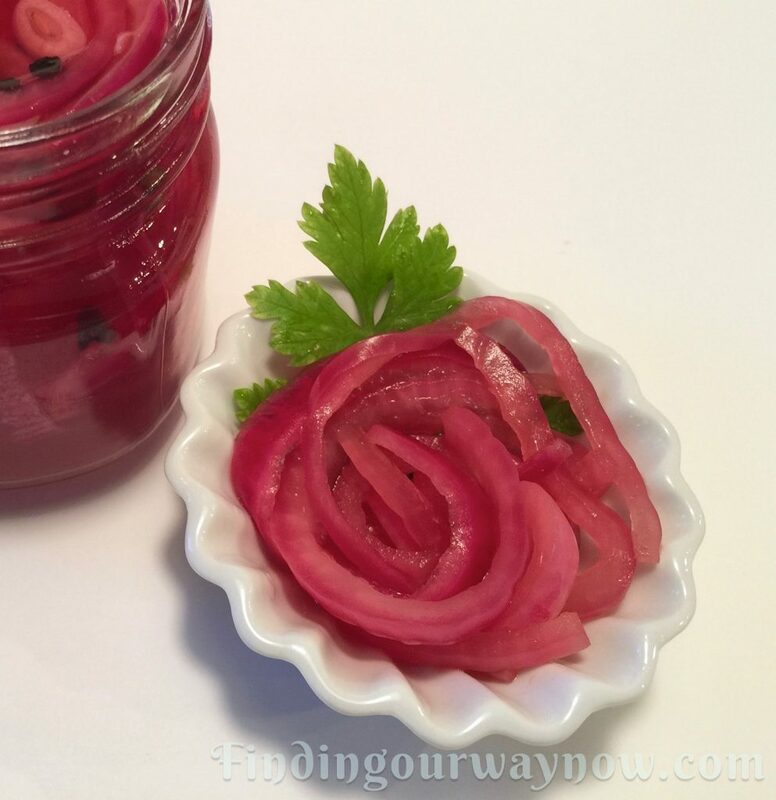 Pickled Red Onions have so many uses too numerous to list. They can add a colorful, crunchy, delicious compliment to salads, sandwiches and as a garnish for many dishes. Oh, I mustn’t forget, they also make super hostess gifts for an alfresco dinner or barbecue. That’s it, and these pickled red onions are fun to make too, so why not give them a whirl.